Syria’s Golan Heights – a new flashpoint in the war? 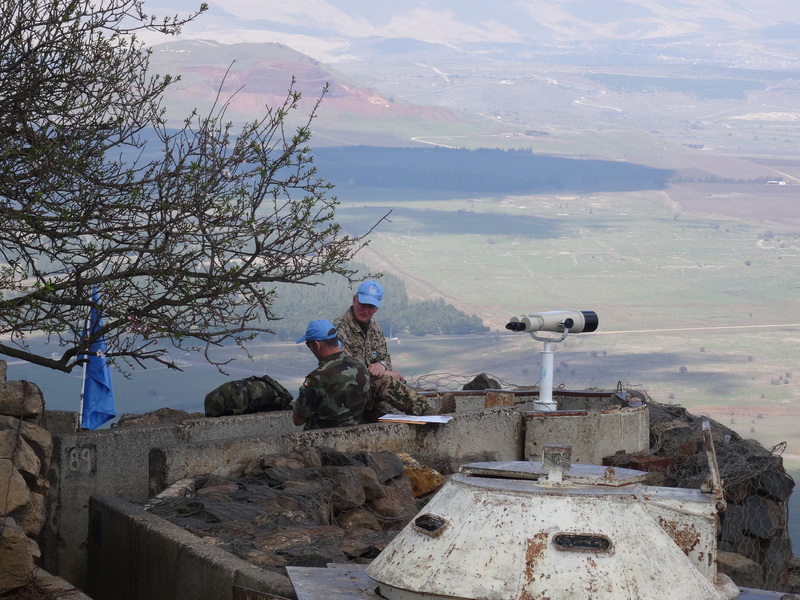 On a recent visit to Syria’s Golan Heights I overheard an unexpected conversation. At the Quneitra Viewpoint, an Israeli guide was telling a group of American tourists that the Israeli Defense Force had just upgraded the threat of conflict here on the border from ‘low’ to ‘moderate’. The reason, he said, was that Israeli intelligence had calculated, following the success of pro-Assad operations in the northern Idlib area, that the field of conflict was now likely to move here to the south. Israel would act immediately, he said, to destroy any heavy weaponry Hezbollah might move into the area. ISIS has also recently become active close to the border, allying itself with the local Yarmouk Martyrs Brigade. Israel views the Syrian civil war as a gift, its chance to persuade the US administration to recognise its 1981 annexation of Syria’s Golan Heights. Pronounced illegal under international law and unrecognised by any country, Israel has simply ignored all condemnation and incrementally taken control of the Heights. My recent From Our Own Correspondent piece on the Golan, broadcast on 10 March, produced the predictable Israeli attacks. But Israel does not get everything its own way. 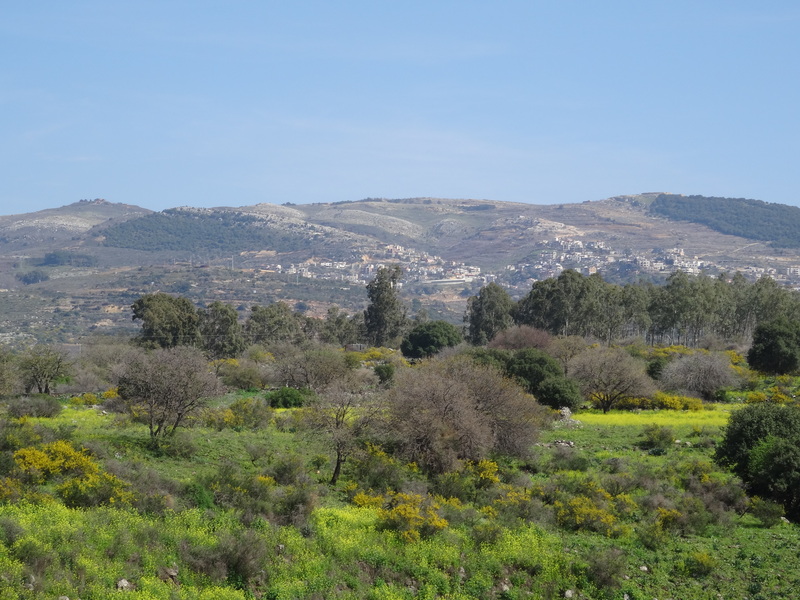 Four Syrian Druze villages continue to thrive defiantly on the Golan, their populations slowly increasing despite the fact that intermarriage is rare and they can only be born into the faith. The Israeli press likes to make much of the Druze increasingly taking up Israeli citizenship but in reality very few do. “Standing in a peaceful spot high on the volcanic cone of Mt Bental, I am gazing across into war-torn Syria. It is a surreal experience. But this is the Golan Heights – where anything is possible. Beside me is a bizarre hilltop cafe called Coffee Annan – after Kofi, the former UN Secretary General – staffed by enthusiastic Israelis from the nearby settlement of Merom Golan, Israel’s first to be built on the Heights. They are selling beer and pizza along with local pomegranate liqueur and skin creams. 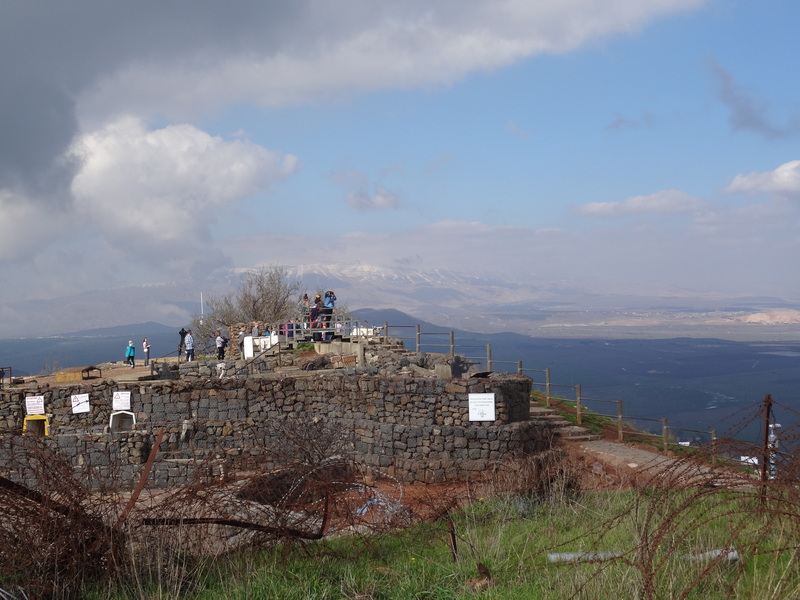 Sharing the vantage point are busloads of Israeli tourists and a couple of blue-capped UN observers stationed here to patrol the ‘ceasefire’ line, while rising above the whole conflict is Mt Hermon, whose snow-covered summit still lies inside Syria. Israel controls a listening post bristling with antennae lower down. In the car park, I meet the cheerful Abu Miqdal, an elder from the Syrian Druze community, with a magnificent moustache and the distinctive black baggy trousers that mark him out as one of the enlightened ‘uqaal, a spiritual level attained only with the wisdom of age. He’s here to earn a bit of money in retirement by selling the famous local honey; he lives in one of the four Syrian Druze villages now cut off on the Golan. Education is tremendously important to the Druze, a proud religious minority living mainly in the mountains of Syria and Lebanon. Amal Alamuddin, now wife to George Clooney, was born a Druze and typifies the community’s talent. Syria’s ruling Assad family was good to the Golan Druze, and earned their loyalty by allowing them to study free of charge at Syrian universities even after the ‘67 war, giving them a small monthly stipend. The Quneitra crossing was opened to allow several hundred students a year to continue their courses. The current war has put an end to that, so many now go to Germany instead. His certainty is admirable but the realities on the ground are different. In the 35 years since its annexation of the Golan, Israel has built over 30 settlements here, 30 wineries with names like Chateau Golan, and devised nature reserves to market its tourism potential. 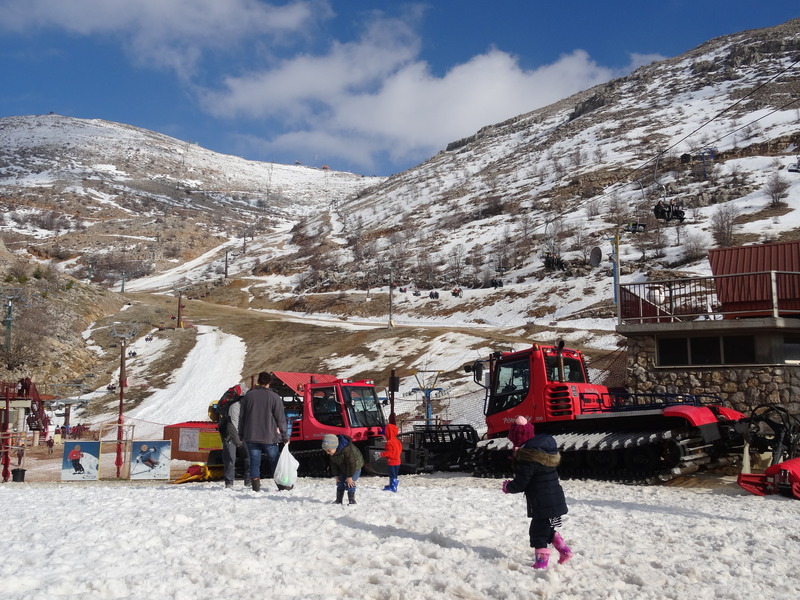 It has built a ski resort on Mt Hermon and laid out hiking trails beside the waterfalls of Baniyas, ancient City of Pan. Israeli maps increasingly show the Golan as theirs, making it ever harder to remember that under international law all this is Syria, whose border once reached right down to the eastern shore of Lake Galilee. While the world is distracted by ISIS and mass refugee migration to Europe, Israel is quietly drilling for oil on the Golan, rewarded last autumn with a major find. It has recently completed a big barrier along its border with Syria similar to that on the West Bank, citing security concerns and the need to ‘bring stabilisation’ to the region. But the Golan Druze are determined to maintain their identity and govern themselves. Ain Kinya, the smallest and most beautiful of the Druze villages, has its own local council. Numbers are steadily increasing and they are building more homes. Two Christian families live in their midst. The young Druze women I see appear free from inhibition, dressed in hot pants, ripped jeans and tight tops, strong and equal to their men. Abu Miqdal’s generation still treasures memories of Damascus, but the Golan’s younger Druze, deprived of such cherished dreams, have found their own uniquely non-political vision of their future. Key to the Druze faith is reincarnation of souls, male to male, female to female, always into a newborn child.